Scuba diving in Ari Atoll is relaxing, adventurous, sometimes challenging, and always stunning. After North Male, Ari (also known as Alifu) is considered the most visited atoll in Maldives, and this contributes to a high degree to the quality of diving. With white sandy beaches and crystal clear waters, many divers rate Ari Atoll's sites to be the best in the country, and they also feature prominently on many Maldivian liveaboards routes. Divided into North and South atolls, topographically diving in the Ari Atoll is different from many other areas of the Maldives, as there are not many long lengths of barrier reef. Instead, there are a lot of thilas, where pinnacles, both inside and outside the lagoons are as objects of marine aggregation providing excellent diving in and around the tops and inside kandu (channels). The dives are adventurous, relaxing, sometimes complex and always awesome here. Diving in Ari Atoll is not known for the brilliance of its corals. In fact, it's 'thila', 'giri' and 'kandu' can be a bit boring compared to many other Asian diving destinations due to the strong currents in this region. 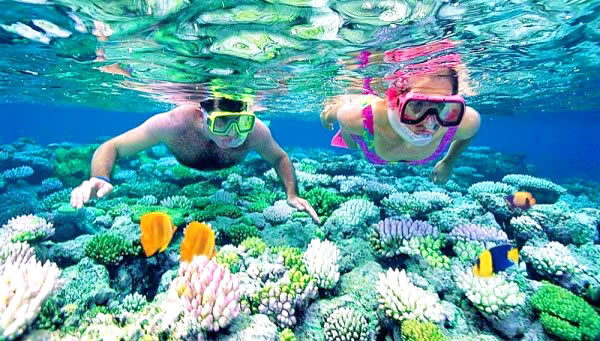 There are some exceptions to the above, but in general, if you want to look at the beautiful corals - Ari Atoll is not the right place. Rather, divers choose these waters for regular discovering pelagic species. Hammerhead sharks, mantas and other pelagics are more common around Ari Atoll, and even the mighty whale shark appears regularly, especially in marine reserves located in the southern part of the atoll. Although there are plenty of space available in other sites for sharks and mantas, the most reliable sites for finding big fish are located here. The liveaboard trips are usually booked in advance, so in order to avoid disappointment or a non-standard boat, we advise you to book a trip at least 6 months before your trip. In addition to Kuramathi's exciting three times weekly half day trips, the resorts also run a full day three dive safari on Thursday. The team is an early start at 6.00am and return around 17.30, but is a great day out, diving some of the famous and spectacular sites in North Ari atoll, such as Maaya Thila, Fishhead, Malhoss Thila, Panettone and our Manta point to name a few. Usually they need minimum 10 participants. The most best way to scuba dive the Ari Atoll is from a Maldives Liveaboard. The country's main airport is Male International Airport (MLE) near the capital city of Male on the island of Hulhule. 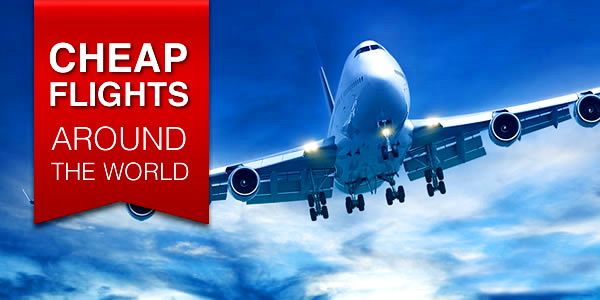 Domestic flights, sea plane, speed boat and ferries are the most common ways of island hopping in the Maldives. Several quick 30 minute flights a day are available from Male to Maamigili (VAM) Airport. From there, individual islands are most easily accessible by boat. If you are planning your budget diving holiday, you will find cheap accomodation and scuba diving at affordable prices on the following inhabited islands: Rasdhoo, Thoddoo, Ukulhas, Dhigurah, Feridhoo, Bodufolhudhoo, Maamigili and Omadho. Diving in Ari Atoll is offered all year round, but the recommended months for certified divers are from December to May, when the sea is flat. If you go on a dive adventure in the rest of the year - the weather is unpredictable and it is quite difficult to find the conditions for dives. Scuba diving in the Ari Atoll in the Maldives is best from January to April, when rainfall is rare, and the average day is about 28 degrees Celsius. Whale sharks frequent the waters all year round but you'll be most likely to spot one between October and March. In Ari Atoll, the best time of year to see Manta Rays is between October and March.From July to October there may be periods of rain and a more turbulent sea, but as a rule, there is never a bad dive, because the weather is relative, and tropical islands receive a lot of sunshine all year round. The water temperature is constant at around 28-29 ° C, jumping up to 32 degrees Celsius inside the lagoons, and visibility is consistent from 15-30m, but varies from site to site, depending on which side of the atoll you dive and in which season. Diving in the Maldives at Ari Atoll is necessarily a strong current. Most dives are drift diving, and you rarely meet at the entry point. Because of these currents, many dives are recommended only for experienced divers, but having a divemaster will allow you to dive with any level of experience. 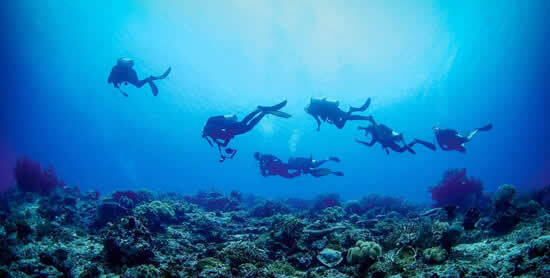 There is no shortage of good dive sites for any level of diver, if you ask your local team for help. The nearest decompression chamber is located at Kuramathi Resort. Scuba diving in Ari Atoll, although not known for colorful corals and schools of fish, brings a lot of unique and attractive dive sites with big marine creatures and pretty macro life - tunas, barracudas, sharks, turtles – all you can imagine here. Fast currents create all the conditions for amazing underwater discoveries, because moving water means a lot of food, and where there is food, there is something to see! Nudibranchs, frogfish, leaffish and countless micro and macro organisms are visible everywhere. Turtles, leopard sharks, nurse sharks, whitetip sharks, hammerheads, mantas, eagle rays, barracudas, and trevalli are increasingly benefiting from these nutrient-rich waters and active marine life. Usually around the Ari / Alif atoll, divers encounter hammerhead sharks, manta rays and other pelagics, including the whale shark. And although there are other popular sites in the Maldives to explore these sea giants, the most reliable sites are located here. More than 80 kilometers long, Ari / Alif is the second largest atoll in the Maldives. Popular dive sites are scattered across the atoll and, around 105 islands. There are over 50 dive sites in the atoll for all levels of experience, all within a one hour boat ride, and more just a bit further away – they offer a huge variety of corals, fish life and, of course, the chance for big fish encounters. Stunning colours and a huge variety of fish life have made the Ari Atoll one of the top diving destinations around the world. Add into the mix regular Manta Ray and whale shark sightings, and it's clear to understand why people keep coming back for more. There are several dive sites for frequent encounters with manta rays in the Maldives, but the Ari / Alifu Atoll is considered to be the leader offering several hot spots: Donkalo Thila in the west of Ari, Rangali Madivaru in the southwest and Kudarah Thila in the southeast. The South Ari Atoll is famous for its marine diversity and especially for its whale-sharks . Which divers can find here all year round. One of the most famous must be Kuda Rah Thila, the first nationally protected site in the Maldives and Maamigili Outside as whale shark magnet. If diving in the Maldives becomes a first time for you - feel free to head to Maaya Thila - one of the best dive sites. This underwater turret has a noisy assortment of marine life, with an amazing variety and volume of sea creatures. Parrots dazzlingly compete with giant frog fish, sea turtles can be seen on a reef during feeding, and the elusive shark guitar is usually determined by an emergency scuba diver. Another top of the Ari Atoll, Fish Head is a favorite among gray reef sharks that patrol all sides in search of prey. Finally, to explore the hammerhead shark, it’s best to go to Rasdhoo (Rasdu), this is Norht Ari Atoll. Its proximity to deep waters provides the best opportunities for observing the pelagics. Also Thilas, kandus, wrecks and coral reefs near Rasdhoo are filled with different species of coral and marine creature. Another great dive, although grey reef sharks are also quite common at Maaya Thila, the smaller white tips are the center of attention, often with dozens of them circling the reef. Maaya Thila is about 80 meters in diameter and can easily be circumnavigated in one dive – if the current is favorable – although it is not uncommon for divers to spend the entire dive in one area to digest the incredible diversity of marine life. Several coral outcrops occur on the northwest and south sides. There are many caves and overhangs all around the Thila. At a big cave on the north side is a feast of fish ranging from the white tips (which usually frequent the side of the reef where the current is strongest), dog-toothed tuna and great barracuda to blue-faced angelfish, Moorish idol, tall fin batfish, parrotfish, butterfly fish, clown triggerfish and lionfish. 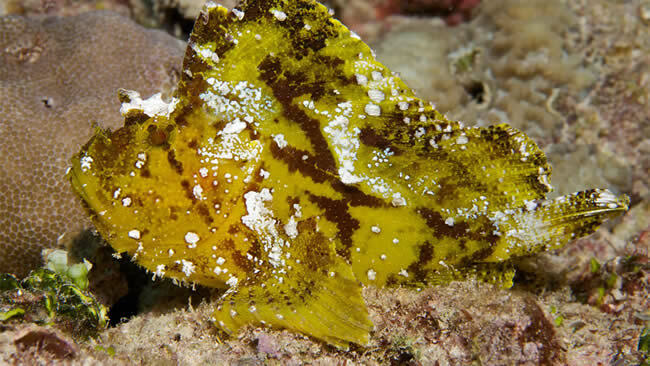 There are also other delights for the careful observer like stonefish and anglerfish. On the reef top are many fusilier and blue stripe snapper and a large turtle is a regular around the reef. This dive is a fish watchers delight and the beautiful soft coral and gorgonians on the reef faces are a great attraction. When the weather permits, you also can do Maya Thila at night….a real treat! Suitable for intermediate level, Madivaru Channel is a sandy channel with some deep overhangs at 30 metres. Start on 5m at the corners, and dropping away to 30m and beyond, Madivaru is spot to go if you want to see eagle rays, stingrays, sharks, snappers and triggerfish. While crossing this dive site from one corner to the other, look in the sandy areas for stingrays and check above you for eagle rays flying in formation. The occasional white-tip and grey reef shark can be spotted swimming along the channel edge. As you approach the corners of the channel you have the chance to see schools of snappers and brightly coloured triggerfish. The Hammerhead Shark Point dive is an early morning blue water deep dive (30m) for Advanced divers or those with deep dive training. There is the possibility to do the dive at least three times a week at 6am, presently on Tuesdays, Fridays and Sundays. The dive site is only 8 minutes boat ride from Kuramathi and is one of the few remaining places in the world where you can see these magnificent animals. It is a spectacular dive if you see the hammerheads and if you are unlucky and do not see any, most divers still find this dive a fascinating experience and you may see other large blue water species (mantas, sailfish, other sharks etc.). The dive costs the same as any other dive. Divers without the required training can do it here if they wish. This dive site is composed of a wreck and a thila. Fish Head is one of the most beautiful dive site in Ari Atoll thanks to its huge quantity of fish. Also called Mushimasmingali Thila, it's a perfect spot for all kind of divers, from beginners to experts. Expect to see a whip corals and gorgonias, turtles, squirrelfishes, blue stripe snappers, fusiliers, as well as Giant trevallies, jack trevallies, tunas and grey reef sharks. 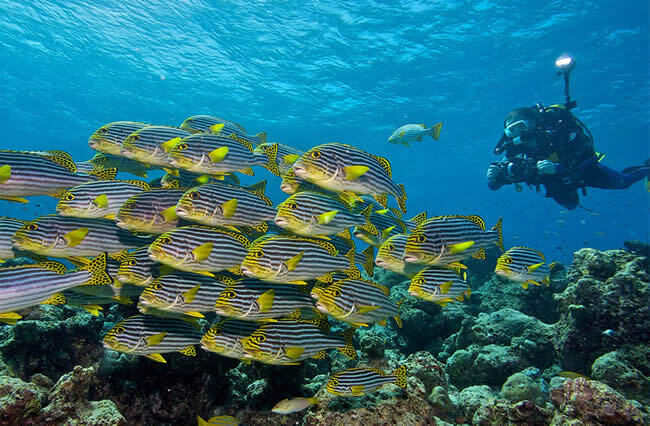 As the thila is close to a channel, the divers usually make a stop where the current splits as an amazing show takes place: schools of fusiliers move as their predators – jack fishes, trevally fishes and tunas – approach. As the thila is quite small but beautiful, you have chance to sink a 30 meters ship next to it to enjoy a good and complete dive site. You will start your dive on a shallow reef and slowly go down and cross a sandy area until you reach the wreck. Fesdhoo Wreck is in good shape, full of coral and fishes. Penetration into the wreck is not really suitable as it is quite small and corals have grown inside. Anyway there is enough for you to see on the deck. After the half of the dive you can move to the thila where you can expect to see many different species like scorpion fish, nudibranches, muray. Located 10 min by boat from Constance Moofushi Maldives, this fabulous dive site is also known as Manta Point, and it seldom fails to live up to this name. Moofushi is a sloping reef, however, the main point of interest is a large bommie where manta rays gather to get cleaned. But Moofushi has much more than mantas. Swarming around the ledges cutting into the bommie are several species of snapper, plus sweetlips, squirrelfish and several whitetip reef sharks. Moofushi Beru is on the ocean side of the atoll next to the channel entrance. Until 20 meters the reef is full of life with school of fishes in all direction. It's getting really interesting while looking down in the blue where you can easily spot sharks and rays swimming around 35 to 40 meters deep. Aptly named for a large broken rock in the center of the dive site, Broken Rock ranges in depth from about 40 to 100 feet and has common marine life sightings like the trigger fish, puffer fish, moray eels and napoleon wrasse. Divers enjoy swimming through the channel created by the halves of the broken rock, but should be cautious of the strong currents as to avoid being thrown against the beautiful hard and soft corals formations. Also known as Maamigili Outside, the dive site is located south of Maamigili Island and airport. The reef starts at 4-12m with a plateau covered in corals, and slopes down to 35m on a sandy bottom. Suitable for all experiences, the divers can expect to see moray eels, lion fish and nudibranches, eagle rays, mobula mantas and of course whale sharks. Maamingili Beyru is famous for encountering not only whale sharks but also many big fish. If you are looking for whale sharks, snorkeling is the best option as it allows a longer observation time than diving. Located in South Male Atoll (western edge), Dhigu Thila is found in a channel is approximately 400m in length, with a top reef 8m below the surface. Caves and overhangs dot the southern side of the reef, while the western side is characterised by pinnacles rising from 30-20m. Due to possible string currents, this area of the site is for experienced divers and offers the chance to encounter grey reef sharks. When currents are coming in, it is better to start diving at the east corner. When currents are going out, the west corner is a better location to start a dive trip. All other parts of the site are easy to dive, even with strong currents. At Dhigu Thila its possible to spot different kind of sharks, including grey reef sharks, whitetips and nurse sharks. In addition barrakudas, tunas, eagle rays, napoleons, schools of fusiliers, jacks, morey-eels and many other reef fishes can be seen. Also, Dhigu Thila is home to Napoleon wrasses, nurse sharks, stingrays, whitetip sharks, fusiliers, jacks, tuna, sea fans, sponges, scorpionfish, and big moray eels. Suitable for experienced divers, Vilamendhoo Thila is a dive site located east of Vilamendhoo Island that is a must dive in the atoll, where rays and sharks are present whatever the direction of the current is. This thila is made of a top reef at around 10 meters, gently sloping down to more than 30m on the east side. On the west side is a steep drop-off with caves and overhangs from 10-25m. It extends in the middle of the channel on the south side, and the north part presents some detached blocks. The corals on the top reef are very nice and provide the fish with shelter from the current. The various species you can encounter here include schools of snappers, sweetlips, fusiliers, jacks, sea fans, batfish, reef sharks and eagle rays and mantas in season. You will always be able to encounter sharks and eagle rays near the turbulence areas or in the northern part. The northern section of the pinnacle is sometimes more interesting in the turbulence area generated by the cracks in the wall. It is also possible to encounter large stingrays on the sandy bottom.